In idle chat with Elizabeth Daingerfield Zwicky at breakfast on Saturday, Elsa Lanchester’s album Bawdy Cockney Songs came up, including the double entendre in “Linda and her Londonderry Air”. My grand-daughter Opal finds these songs entertaining, but we’re not sure how much of this stuff she gets. Then I pointed out that beyond her music hall performances, Lanchester was a well-known actress (most famous for Bride of Frankenstein but quite accomplished in many other, less campy, roles) and also the wife of Charles Laughton, with whom she often acted. The Londonderry Air is an air that originated from County Londonderry in Ireland (now Northern Ireland). It is popular among the Irish diaspora and is very well known throughout the world. The tune is played as the victory anthem of Northern Ireland at the Commonwealth Games. “Danny Boy” is a popular set of lyrics to the tune. I believe that the French-based euphemism is much more common in the UK than in America, so there’s some question as to whether an American kid like Opal will get London derrière. Elsa Sullivan Lanchester (28 October 1902 – 26 December 1986) was an English character actress with a long career in theatre, film and television. Lanchester studied dance as a child and after World War I began performing in theatre and cabaret, where she established her career over the following decade. She met the actor Charles Laughton in 1927, and they were married two years later. She began playing small roles in British films, including the role of Anne of Cleves with Laughton in The Private Life of Henry VIII (1933). His success in American films resulted in the couple moving to Hollywood, where Lanchester played small film roles. 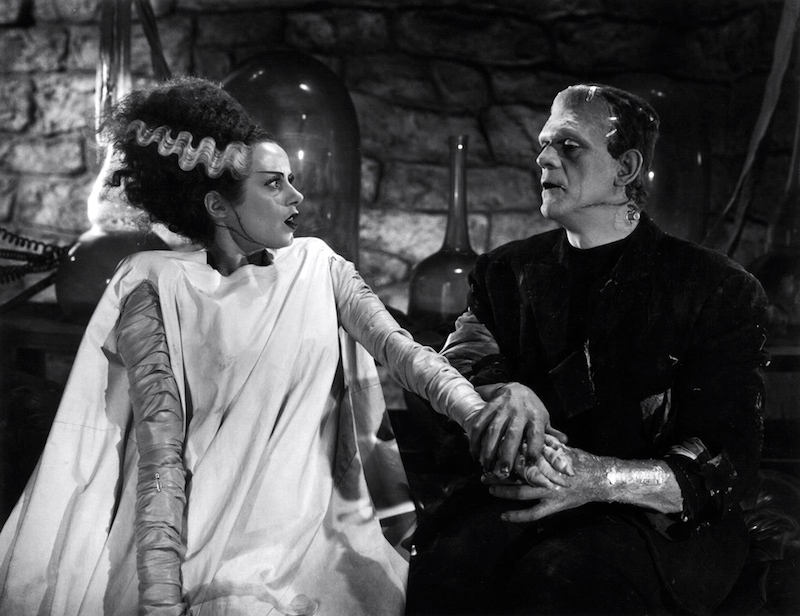 Her role as the title character in Bride of Frankenstein (1935) brought her recognition. She played supporting roles through the 1940s and 1950s. She was nominated for the Academy Award for Best Supporting Actress for Come to the Stable (1949) and Witness for the Prosecution (1957), the last of twelve films in which she appeared with Laughton. Following Laughton’s death in 1962, Lanchester resumed her career with appearances in such Disney films as Mary Poppins (1964), That Darn Cat! (1965) and Blackbeard’s Ghost (1968). The horror film Willard (1971) was highly successful, and one of her last roles was in Murder By Death (1976). Two of her movies have come up on this blog: Mary Poppins (here), without mention of Lanchester; and Murder by Death (here), with a mention of her (in the spoof character Miss Marbles). 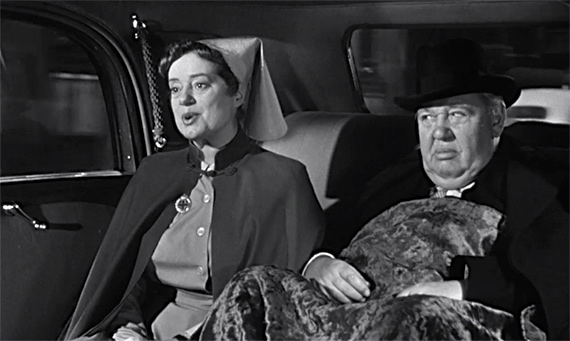 Famed London barrister Sir Wilfrid Robarts (Charles Laughton) is on the mend following a heart attack, and his nurse (Elsa Lanchester) is determined to make sure he takes it easy and recuperates. This means he’s not allowed to drink or take on any criminal cases, his only two pleasures in life. Right on cue, we’re introduced to Leonard Vole (Tyrone Power), a charming young salesman accused of murdering an elderly widow he befriended, and all the evidence points to him. Vole’s wife Christine (Marlene Dietrich), who he’d met in Germany during World War II, provides him with an alibi – although one that doesn’t quite ring true to Sir Wilfrid. This entry was posted on April 27, 2015 at 3:48 am and is filed under Actors, Double entendre, Language play, Movies and tv, Music. You can follow any responses to this entry through the RSS 2.0 feed. You can leave a response, or trackback from your own site. elsa Lanchester in her thinner days really resembles catherine deneuve in chin, nose and eyes!